There are a number of circumstances in which businesses have sought clarity over the definition of ‘entertainment’ for the purposes of the input tax restriction, and in particular what should constitute entertainment of staff or business contacts as opposed to incidental business-related expenses This Public Clarification explains the application of Article 53 of the VAT Executive Regulations with regards to VAT which is non-recoverable in respect of entertainment or hospitality of any kind. VAT incurred on any costs which are used for a genuine business purpose, or which are incidental to a business purpose e.g. food and drink provided during a business meeting, shall be recoverable (subject to normal VAT recovery rules). However, where the hospitality provided becomes an end in itself and could be construed as the purpose for attending an event, such costs will be considered to be entertainment in nature and the VAT incurred shall not be recoverable. More information on how to define whether costs are incidental to a business purpose, or considered to be an end in themselves, is provided below. Ceremonies held to mark significant political events e.g. the signing of an international agreement, where entertainment is provided to the audience. See below for further comments on entertainment services provided to employees. VAT incurred on such costs shall be blocked from recovery in full. This rule shall apply even where the business makes fully taxable supplies and would otherwise have the right to full input tax recovery. Where the provision of goods or services.3 a deemed supply under the provisions of the Decree-Law. For example, where a new employee joins a business and is provided with hotel accommodation for a short initial period prior to finding their own accommodation, this would not be considered entertainment and the VAT incurred on such costs would be recoverable, as this cost is necessary for the person to perform their role. However, where a business organizes a lunch or dinner for employees e.g. a Ramadan Iftar, this would be considered to be entertainment and the VAT incurred on such costs would be blocked from recovery. Where simple hospitality is provided in the normal course of a business meeting e.g. where simple food and refreshments are provided during course of a meeting, the cost is considered to be recoverable. The food and beverage provided is not accompanied by any form of entertainment e.g. a motivational speaker, a live band etc. However, where the food and refreshments are considered to be so substantial that they would constitute an end in themselves and may have encouraged someone to attend the meeting, the input tax incurred is non-recoverable. For example, a gala dinner event with a short introduction by a speaker would not be considered to be food and beverage in the normal course of a business regulation Meeting and the input tax incurred on costs would be blocked from recovery, where no charge is made for attendance. Where a fee is charged and VAT is accounted on the same, the input tax incurred on catering services would be recoverable on the basis that there is attributable to making taxable supplies. Where the business cannot establish or is uncertain whether or not hospitality is provided in the normal course of business meeting, it should refrain from recovering input tax on the expenses employee for attending. The FTA considers that certain normal incidental office expenses for general use by both employees and visitors does not give rise to non-recoverable input tax under Article 53. Dates, chocolates, or equivalent snacks which may be available in the office or during meetings for general use by employees and non-employees for no charge. Employee entertainment where events are held purely for the purposes of entertaining staff, for example staff parties, the VAT incurred on the associated costs shall be from recovery unless a charge is made to the employee for attending. Taxable Persons may also purchase goods or services to be given away to staff free of charge, in in order to reward them for long service, for example. 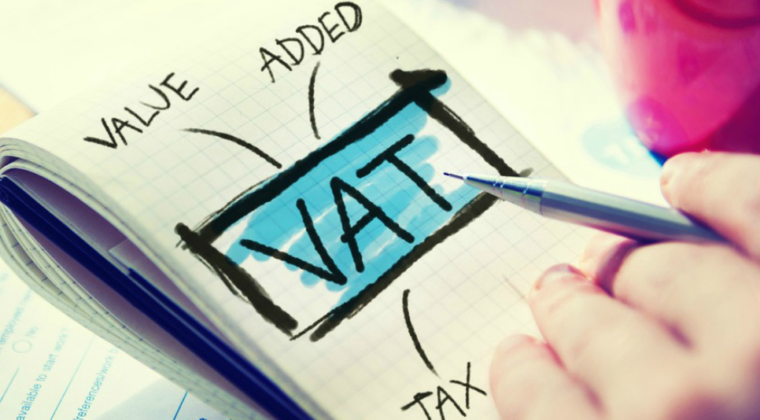 Based on the provisions of Article 53, the VAT incurred on such costs should be blocked from recovery. A dinner to reward service. Be genuine business expenses and the VAT incurred is recoverable where a tax invoice is provided and the cost is for business purposes. Input tax incurred on subsistence costs e.g. food and drinks purchased by the employee for their own consumption during the business trip.